It has always amused me when people think they’ve “cracked the code.” When they think they can “speak your language” because they’ve come to understand the jargon, slang, technical terminology, or esoteric language, of your age group, profession, or subculture (I know, some of those overlap). As a computer “techie,” I run into this all the time. Three quick examples are the words, “download,” “CPU,” and “hard drive.” But those are just the tip of the iceberg. “I want a computer with everything! I want ALL the RAMs and hard drives! Like any parent, I have always had dreams and aspirations for my children. But NONE of them involve them being “user friendly” in any form or fashion! People use the term “download” now for pretty much everything. To “download” actually means to receive a virtual “package” of information through a digital electronic process. “Upload” means to send something through a similar process. The CPU (Central Processing Unit) of a computer is actually the processor – the chip that provides the computer its “intelligence,” or ability to process data. 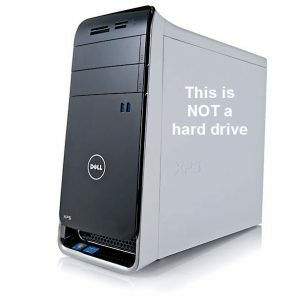 It is NOT the whole machine. Perhaps this handy chart will help. 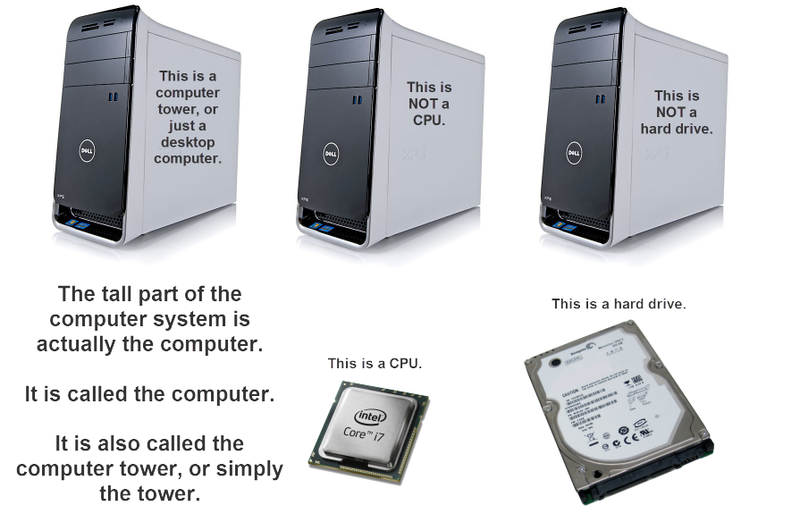 Your computer repair person will marvel at the ease with which these technical terms roll off your tongue. And while you’re feeling really good about cracking the techie “code,” don’t forget to teach your children how important it is NOT to be user friendly!